Earlier this month, we were visited at the Expo Show by Cambrian customer and video blogger Superbike Surgery. 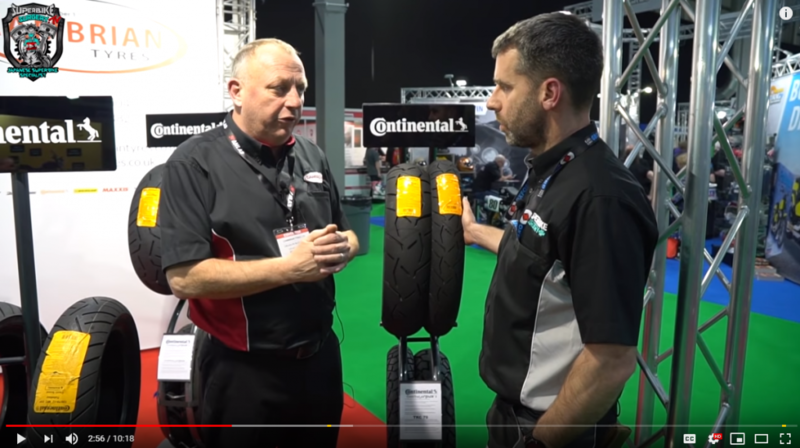 Brand Manager Graham was on hand to take a look at one of the hottest new tyres for 2019, Continental’s brand new ContiTrailAttack 3. Aimed at predominantly road going adventure motorcycles, the German brand claim that is sets several new benchmarks for the 90/10 adventure tyre market. The first stocks of the ContiTrailAttack 3 are now available from Cambrian, following a delivery of key sizes late last week. All pairs come with a free Continental branded tank bag or dry bag too, while stocks last! Click here for full T&Cs. A delivery of further tyre stocks is expected shortly. Check out the full range of sizes here.